Hope you all had a spooky Halloween yesterday! 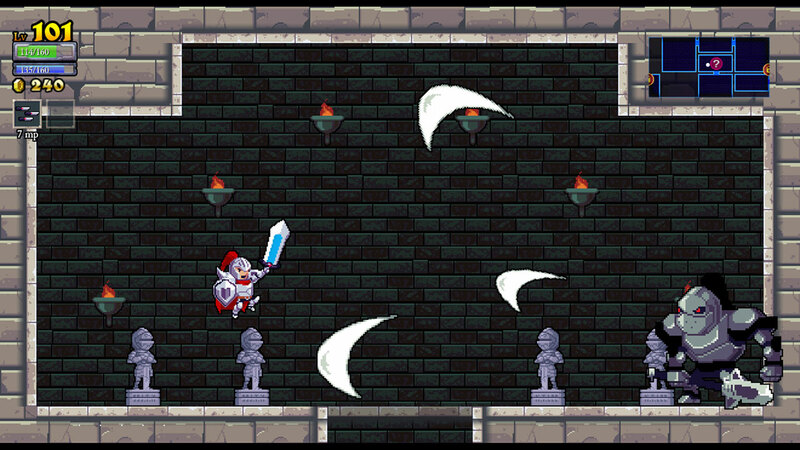 Today, it’s time for another Nintendo Download that has a lot of creepy fun. There’s also a couple of new activities and a whole bunch of digital offerings to check out. So get ready to binge on some sweet stuff with today’s installment of Nintendo Download! 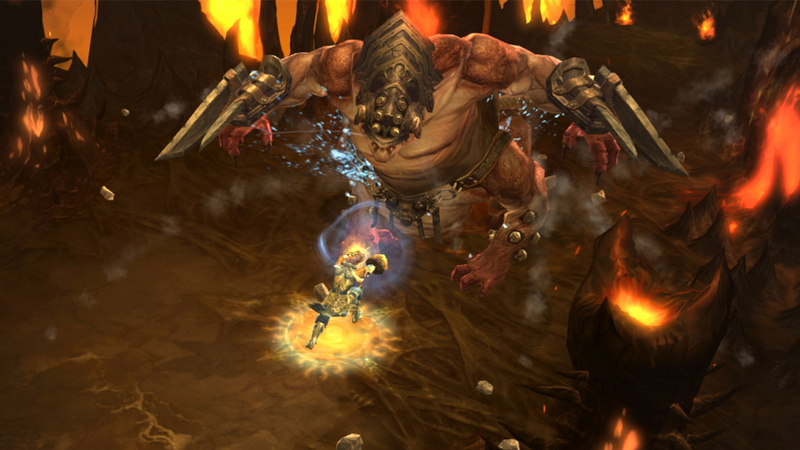 What better way to start the Download right after Halloween than Diablo III: Eternal Collection? This is one of those games I never thought I’d see on a Nintendo console, but I’m glad it made the Switch. This version comes packed with some console exclusives such as a Cucco companion set, Gannondorf armor and more. If you want to fall deep into this crazy game, you can do so starting tomorrow. 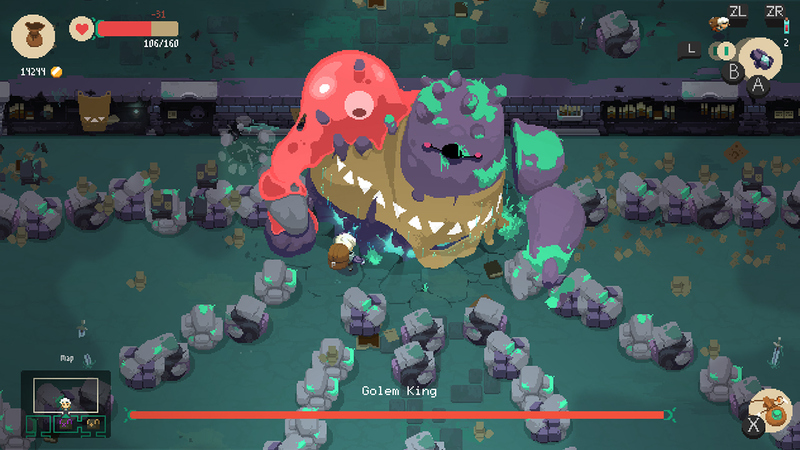 However, if you’re looking for a RPG with some rogue in it, you might enjoy Moonlighter when it releases November 5th. I was caught by the pixelated art style when I saw the game at PAX, and will be keeping my eyes peeled for more news about it. The next game is for fans of Final Fantasy who don’t own a Vita or PS4 (or game on Steam). 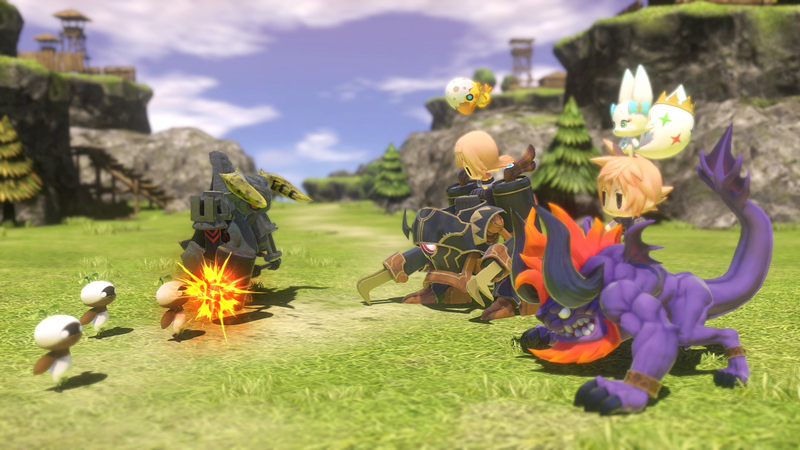 The fantastic chibi adventures of World of Final Fantasy are coming to Switch as World of Final Fantasy Maxima. New to this edition is the Avatar Change mechanic, which is sure to make a wonderful adventure last even longer! Finally, if you love super casual Pokémon games, you’ll love that Pokémon: Let’s Go, Pikachu! and Pokémon: Let’s Go, Eevee! are both coming to Switch on November 16th. As for myself, I’ll be waiting til they announce the next mainline series game to headline the Switch. But that’s not all, the following events are also happening! Animal Crossing: Pocket Camp One-Year Anniversary Event – It’s almost the first anniversary of the Animal Crossing: Pocket Camp smartphone game**! There are a lot of events and gifts in store, in addition to a new type of Seasonal Event. A Seasonal Event is a special event period during which you can get furniture and clothing items by participating in the garden event, Gyroidite Scavenger Hunt and Fishing Tourney during that period. Collect a bunch of first-anniversary candles to complete Anniversary Goals to get the first-anniversary cake, golden party table and first-anniversary outfit. You can get first-anniversary candles from Isabelle’s Party-Prep Project, Gyroidite Scavenger Hunt #5 or Fishing Tourney #8. Next up, if you want to get some savings on your gaming, check out the following sales. The fantastic Shin Megami Tensei IV: Apocalypse (3DS) is down to $23.99; if you want a simple game to celebrate Halloween, you might enjoy Halloween Pinball (Switch) for $1.79; for some fun with robots, there’s Defunct (Switch) for $10.49; for stylish battles, there’s Shadow Fight 2 (Switch) for $12.74; for the fan of gaming with friends, you might enjoy Keep Talking and Nobody Explodes (Switch) for $11.24; for some 2D mayhem, there’s Flat Heroes (Switch) for $7.99; for a lovely jaunt into the world of dreams, there’s Figment (Switch) for $13.99; platformer fans might enjoy Yoku’s Island Express (Switch) for $11.99; to slay some zombies, there’s Death Road to Canada (Switch) for $8.99; for spooky atmosphere, Goetia (Switch) is a steal at $1.09; to say hi to Cthulhu, you can pick up Deep Ones (Switch) for $3.34; to test your survival horror skills, there’s Outlast: Bundle of Terror (Switch) for $12.49; indie fans should try their hands at Owlboy (Switch) for $17.49; or to put on your sleuthing hat, there’s always The Darkside Detective (Switch) for $9.09; for a fighting game other than Smash Bros, there’s still the fun and crazy Brawlout (Switch) for $9.99; if you need some gooey zombies in your life, Capcom is there with Resident Evil Revelations and Revelations 2 (both Switch) for $13.99 each; or if you want a weird RPG, there’s Golf Story (Switch) for $9.89; to give the Wii U more life support, you might enjoy Totem Topple (Wii U) for $2.50; and finally, for some good old portable horror, there’s Resident Evil: The Mercenaries 3D (3DS) for a super low price of $4.99. A pretty great list, though there’s even more if you click here. For some digital fare, there’s a lot to peruse this time. First, the following titles are all out starting next week. If you ever wanted to play a puzzle game with friends, then you might enjoy Deru – The Art of Cooperation. If you prefer beating the stuffing out of people, there’s always Brawlhalla. For a strange adventure game, there’s The Shapeshifting Detective. For some pixelated co-op, there’s Full Metal Furies. 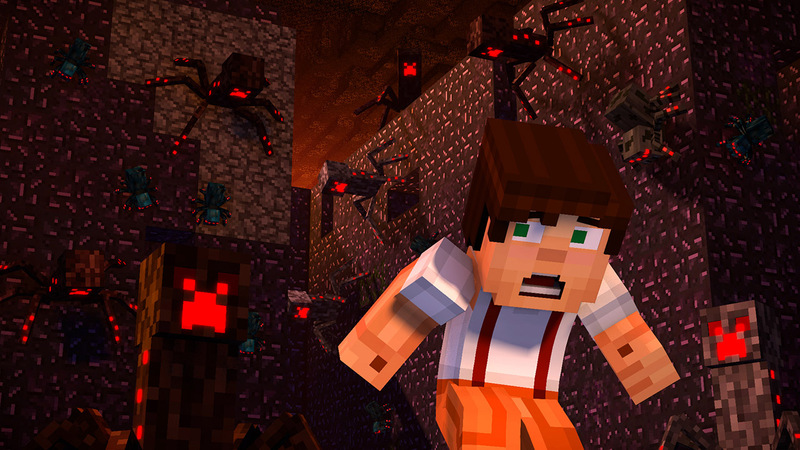 And finally, for a couple of great games making the Switch, there’s Minecraft: Story Mode Season 2 and the classic Rogue Legacy. Now for the games out this week. If you love retro, there’s two offerings this week – ACA NEOGEO Savage Reign and Arcade Archives Alpha Mission. 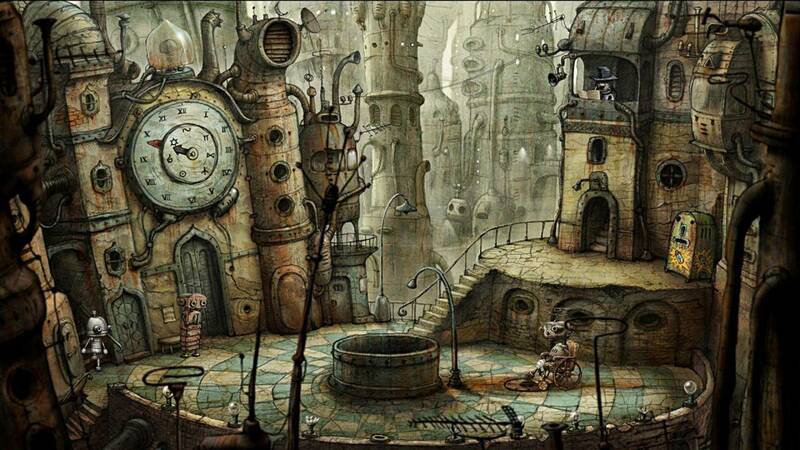 For fans of adventure games, there’s the charming Machinarium. Fans of rogue mayhem are sure to enjoy Freaky Awesome. 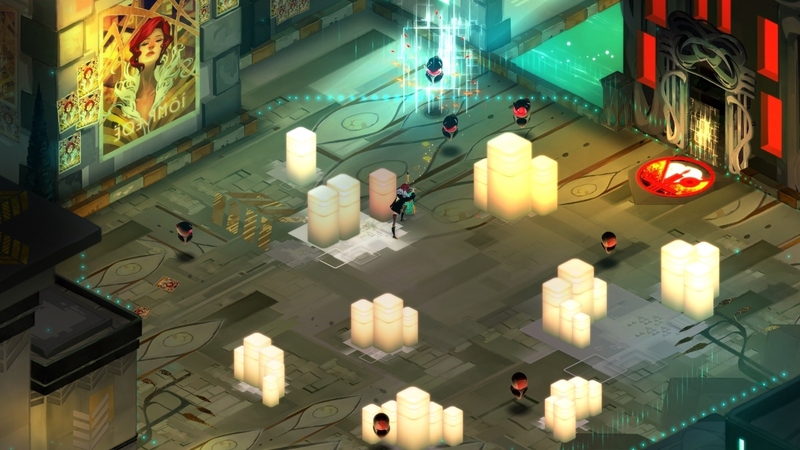 And finally, those who adore beautiful adventures are sure to enjoy Transistor on the Switch. Pretty great Nintendo Download this week, huh? Be sure to tune in next time for more games to enjoy on Nintendo consoles!